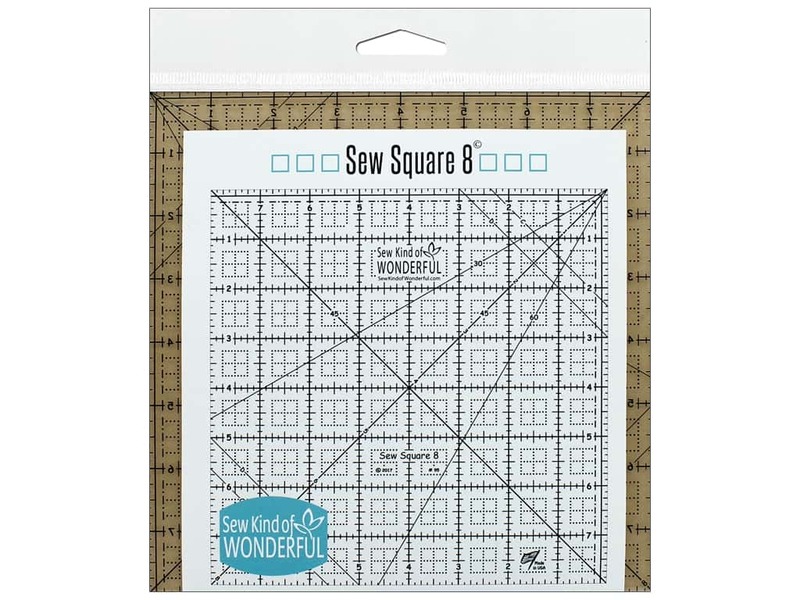 Description: Sew Kind Of Wonderful Ruler just the right tool for the job. Sew Square 8- High quality acrylic ruler. Convenient 1/8 in., .25 in., .5 in. and 1 in. lines for precise measuring. Includes 30, 45, and 60 degree lines. Use as a square-up ruler. See more Sew Kind Of Wonderful Rulers.